Nevados Ojos del Salado is the world's highest active volcano. It is located on the Chile/Argentina border, about 20 km south of the road that crosses Argentina-CHile border at Paso de San Francisco. The mountain has very dry conditions with snow only remaining on the peak during winter. The volcano contains two summit peaks of the same height. A large explosive eruption took pleace about 1000-1500 years ago and produced pyroclastic flows. 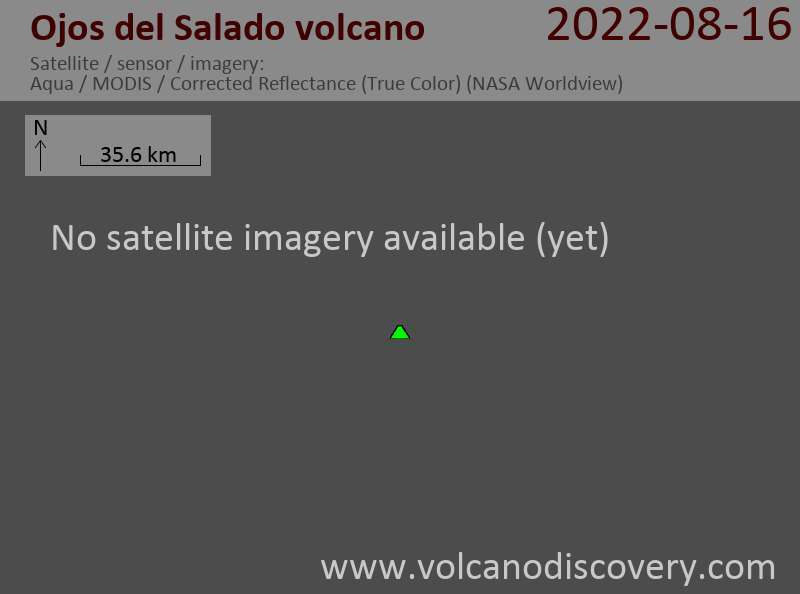 Ojos del Salado is still active and has fumarolic activity at present, but there are no confirmed historical eruptions of Ojos del Salado. A report of minor gas-and-ash emission in 1993 could not be confirmed. The volcano currently shows fumarolic activity. Ojos del Salado mit seinen 6893 m ist nicht nur der der höchste Vulkan der Erde, auch der höchste Berg von Chile und der zweithöchste Berg der Welt außerhalb des Himalaya.